Booking a flight online can be an aggravating process. After checking for discounts, figuring out the best time to fly, deciding which route to take and making sure the price is right, you're still left wondering if you scored the cheapest fare. I've booked more than 100 flights since 2012, including a $22 flight from Kuala Lumpur, Malaysia to Singapore; a $27 fare from Seoul, South Korea to Osaka, Japan; and a $44 flight from Copenhagen, Denmark to Helsinki. There's no question that affordable flights are out there, but they won't come knocking on your door; you'll have to do some research. Unfortunately, there isn't one magical website selling the cheapest flights. To find the best deal, you'll have to search on multiple sites. Start with search engines like Kayak and momondo, which will give you a general idea of which airlines offer your chosen itinerary and the price range for your desired flights. After you've searched for a few of the most affordable flights, go to that specific airline's website to see if it offers a cheaper price for the same flight. Frequently, airlines have private sales and special deals only offered on their sites. Another tip: Check popular search engines in other countries. For example, go to Expedia.co.jp (the search engine's Japanese site), but change the language to English and the currency to U.S. dollars. Then, search for your desired flight and see if the prices are cheaper. Using this method, I booked a flight from New York to Seoul for $200 cheaper than anywhere else I could find on the Web. According to FareCompare.com, the optimal time to book a domestic flight is between three months and 30 days ahead of your departure (international flights require more time). It may seem like a no-brainer, but if you're determined to find the cheapest flight, you need to be flexible with your departure date and time. Sometimes, adding or removing a day can save you hundreds of dollars. If it fits with your schedule, consider taking a red-eye or an early morning flight, as these tend to be least desirable (read: cheapest). If you can time it right, FareCompare.com recommends purchasing your ticket on Tuesday at 3 p.m. Eastern Standard Time. This seemingly arbitrary time slot yields the best prices because it's when airlines run the most sales. Airlines occasionally share special deals, promotions and first-come, first-serve offers via their social media accounts. Like or follow the Facebook and Twitter pages of the airlines you commonly fly with to stay abreast of any surprise sales. Every now and then, check to see if the airline is hawking any deals on social media. And if you see a good deal, act fast -- it could be gone within minutes. Nonstop flights are in high demand, and as such they're also the most expensive. Consider taking an alternative route that may consist of two (or more) flights to get to your destination. If you can tolerate long layovers, you can drastically cut down your flight expenses. Another money-saving tip: Research the hub city for each airline. For example, Phoenix is a hub for US Airways, Atlanta serves as one of Delta's main hubs and Chicago is one of Southwest's major thoroughfares. 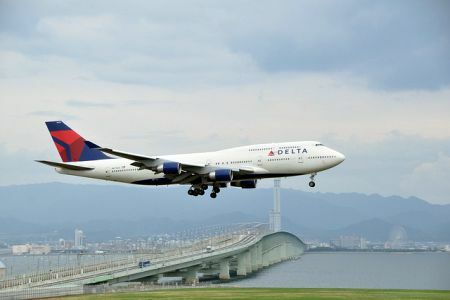 Airlines offer more flights in and out of these cities, so if you route your flight through one of these hubs, you may save money due to the sheer volume of available itineraries. For international budget airlines like AirAsia and Peach Aviation, keep an eye out for secondary airports that only cater to one airline. Sometimes, these small airports are hidden from search engines and may have to do your own research to seek them out. For instance, the Treviso Airport in Venice, Italy only operates Ryanair and Wizz Air flights. If you're a skilled salesperson, this method may work for you. After comparing several sites, call the airline and see if it can offer you a lower price. Try to roll the dice and tell the customer service representative that you saw a cheaper price online to see if he or she can match your offer. If you're satisfied with the price you found online, you should still call the airline the following morning to see if the fare decreased overnight. If so, you can cancel and rebook your flight for the cheaper price. Federal provisions require airlines to allow for penalty-free cancellations 24 hours after purchase, as long as the ticket is bought at least a week ahead of the departure date. No matter which tactic you use, remember that patience, above all else, is your best tool. About the author: As a recent University of Wisconsin-Madison graduate, Drew Goldberg has visited more than 40 countries since 2012. Drew is currently teaching English in South Korea, blogging about food, culture and nightlife at The Hungry Partier. You can follow his adventures on Twitter, Facebook and Google+.